At a FootBalance Medical clinic, podiatrists and other medical professionals specializing in foot problems conduct an in-depth analysis of the lower limbs designed to test the mobility of the foot, ankle, knee and hip. Muscle strength, ligament support and the combined movement of the lower limbs and the back are also checked. This analysis, along with the patient’s medical history and activity goals, provides the practitioner with the necessary information on which to mold and shape a custom pair of insoles for the patient. The insoles are molded while the foot is in the correct, neutral position. When needed, additional stiffiners, padding, lifts or support wedges may be added to help guide the motion of the lower limbs towards a centered alignment and natural movement. 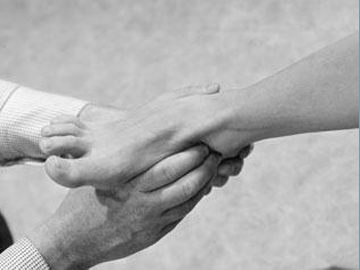 In addition to FootBalance custom insoles, the therapy program may include manipulation, pain relief treatments, and customized rehabilitation and follow-up. FootBalance medical insoles open up a new way for health care professionals to offer better, less expensive care for customers suffering from foot problems and misalignment related conditions. FootBalance Medical provides a reliable, fast and affordable method for conducting individual analyses of the lower limbs and for preparing custom-molded insoles. Our innovative windlass molding method allows you to quickly and correctly mold insoles directly from your patient’s feet, without time consuming casting. Fit can be verified and adjusted on-the-spot, in the same customer visit, saving time and increasing customer satisfaction. The patented, dynamic core in FootBalance insoles returns feedback to keep foot muscles active. Our insoles enhance, rather than impede, foot function for better patient care. Different levels of core rigidity and top cushioning are available, along with a range of wedges, postings and reinforcements for extra bracing, control or angle correction. These options allow you to quickly and accurately craft insoles to meet each patient’s individual needs. Thanks to our rapid molding method, reduing the degree of support as symptoms subside is easy and affordable. With FootBalance you can simply and quickly make new, progressively less rigid insoles as needed. The FootBalance Medical concept includes all the necessary equipment, insole materials, wedges, padding and training required for conducting the foot analysis and insole fabrication. Consumer information materials are included to support the patient relationship. Offer your customers a personalized and inexpensive foot care plan. Contact us today to ask for a FootBalance Medical concept demonstration!